For all the “Twihards” Summit Entertainment has released dates for part two of “The Twilight Saga: Breaking Dawn,” with that installment in the popular vampire romance film franchise now set for Nov. 16, 2012. 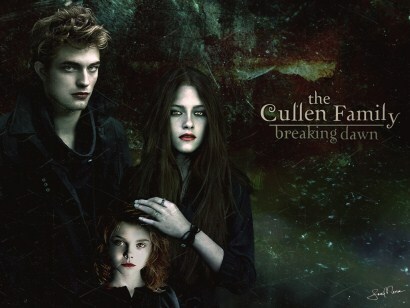 “Breaking Dawn – Part One” is set for release on Nov. 11, 2011. The two-part fourquel is being directed by Bill Condon. The Twilight Saga movies were previously filmed in Vancouver,Canada but these will be filed in Lousianna – I wonder if it will change the feeling of the movie? Kristen Stewart at 18 Already Looking Wasted & Haggard! The Twilight Saga: New Moon – What a Bad Movie!